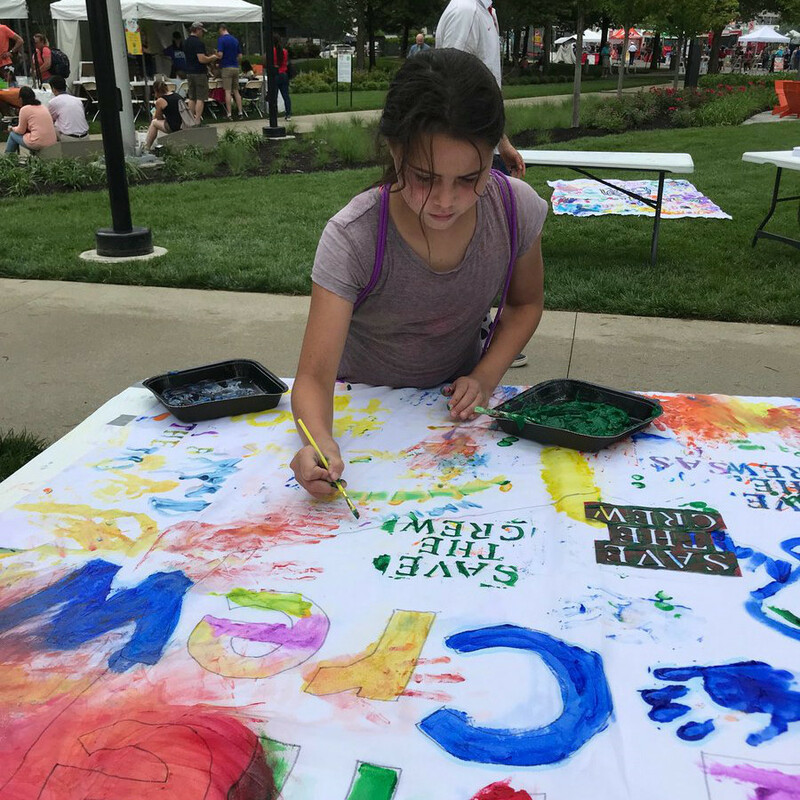 The #SaveTheCrew team continued to show its commitment to community last week by having a booth in the kids area at the 2018 Columbus Arts Festival. At the booth, volunteers helped local children create a variety of art projects, including Mini-Tifos and several large banners. Plopping their palms in paint, young visitors to the tent added multi-colored handprints to a banner that read “Kids 4 Save The Crew.” The activity was so popular that the volunteers even created a second banner later in the day and our young artists were able to add their own personalized touches. The two banners were then shown at the Columbus Crew SC – New York Red Bulls game on Saturday, June 9, and will be used at other events throughout the season. Not missing an opportunity to spread the word about our mission to keep our team in Columbus, the #SaveTheCrew volunteers also talked with parents about the Project 2019 Pledge. The volunteers even received support of our neighbors at LEGOLAND Discovery Center. Rumor has it that Legoman has committed to purchase a pair (once he can get a Community Kit in his size and changes the color of his construction hat from red to gold). The festival closed early due to incoming thunderstorms on Friday evening, but the weather failed to dampen the spirits of the volunteers and the families who stopped by. #SaveTheCrew volunteers will continue with our massive efforts to keep our team rooted here in our community. More volunteer opportunities will be available throughout the summer, so please email team@savethecrew.com if you can lend a hand. Many hands — big and small — working together will ensure that the Crew remains in its home. 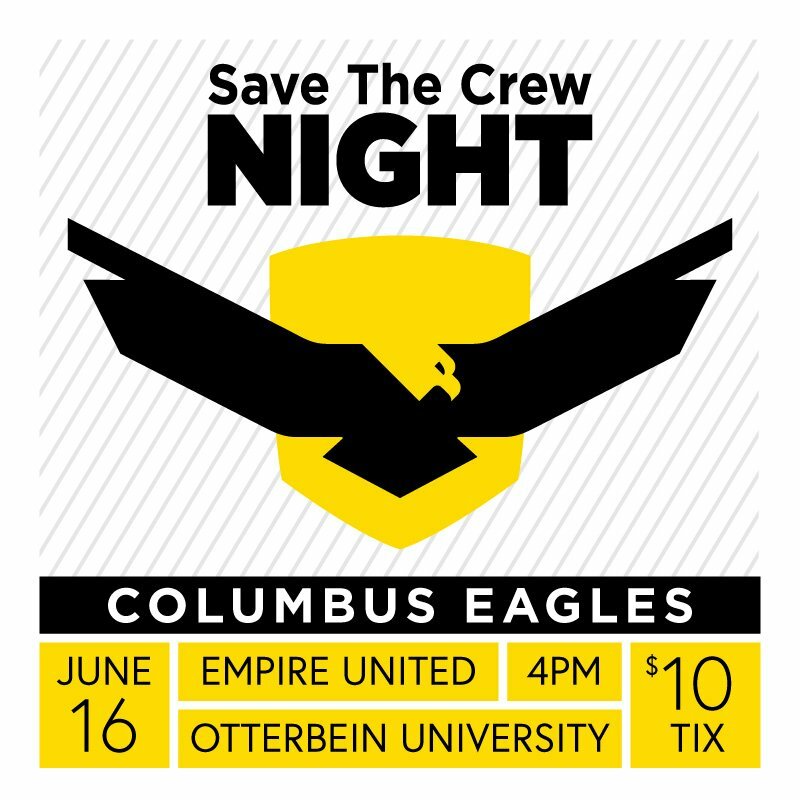 To see even more #SaveTheCrew around Columbus, join us Saturday at Memorial Stadium on the beautiful Otterbein campus for ColumbusEaglesFC #SaveTheCrew night. Come early for tailgating & enter a raffle to win custom STC warm-up shirts worn by the team!